Above: A view of the Castello di Barolo (left) on as you enter the village from the north arriving from Alba. 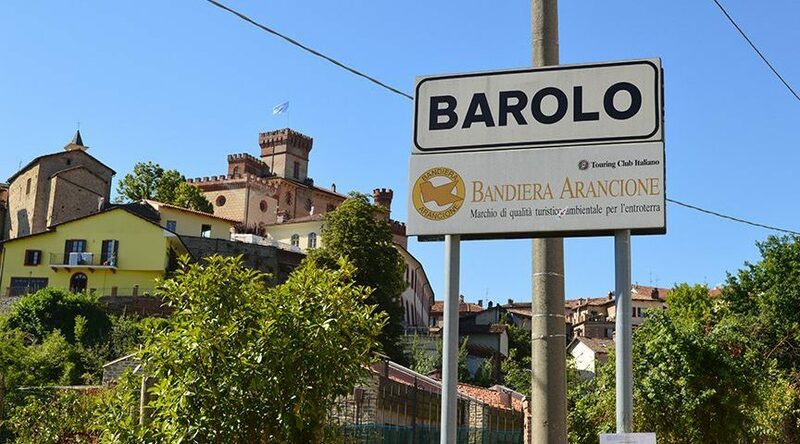 The summer is almost here and a lot of you are planning your trip to Piedmont and, in particular, to the Langhe Hills, the land of Barolo and Barbaresco, where you will enjoy some of the greatest wine and food tourism in the world. Here are some basic tips (based mostly on questions that I get asked at this time of year) that will help make your trip more relaxing and fun. You need to rent a car. I get asked this all the time. Do I need to rent a car? The answer is yes, you do. While there is public transportation available and car service is also available in Langhe (although very expensive), you need a car for mobility in wine country. Make sure you have a designated driver and be careful to observe the speed limit. Like all EU countries, Italy practices zero tolerance for drunk (and buzzed) driving. That means that just one glass — yes, just one glass — takes you over the legal limit. Italy also uses electronic camera cops (AutoVelox) and the speed limit is strictly enforced. In another era, it was tough for the Italians to track offenders. But now — believe me — that ticket will reach you via your rental car company and if you don’t pay, you risk losing your privilege to rent a car in Europe. It’s happened to more than one colleague of mine. It’s for real, people! Reserve at restaurants well in advance. There’s nothing worse than arriving at a restaurant you’ve long looked forward to and finding out that there is no availability. You’re not the only one eating your way through the Michelin guide while in Italy. Be sure to reserve well in advance. Reserve winery visits (and always buy some wine). Not all wineries offer winery tours and tastings but many do. It’s always important to reserve well in advance. Especially when the tour is free of charge, it’s good form to buy at least a couple of bottles as a gesture of good will. It’s difficult to ship wines back to the U.S. (although it is possible). But there will always be time to open a bottle on the veranda of your hotel or at the end of the night when crave that last glass of Nebbiolo. There are a lot of great hotels in Alba proper but traffic in and out can be challenging, especially at rush hour. It’s a really small town that doesn’t have a lot of access for traffic. There are so many great little family-run hotels and b&b’s in the country side and they are generally very affordable. Staying outside Alba, makes getting around a lot easier. Remember that Italian businesses, including wineries, close during lunch. This one is self-explanatory and is a fact of life. Reserving well in advance is an easy way to avoid being stuck outside a winery waiting for it to open. Don’t limit your visit solely to Barolo and Barbaresco. There are many restaurants and wineries worth visting outside of the Langhe on the other side of the Tanaro river. There’s more to Italy than just food and wine. Don’t let your food and wine passion eclipse cultural site-seeing. Piedmont is full of castles and art collections worth seeking out. Say buon giorno, not ciao, when entering a business like a winery or restaurant. Ciao is reserved for friends and family. Buon giorno (or buona sera, in the evening) is the way you should always address someone you don’t know. Arrivederci is a proper way to say goodbye. Knowing this simple rule in Italian, even if it’s the only Italian you learn, sets the right tone for your visit.